Pop Quiz: What Does Your Personality Say About Your Style? It’s common lore: the clothes can make the man. But, do they? 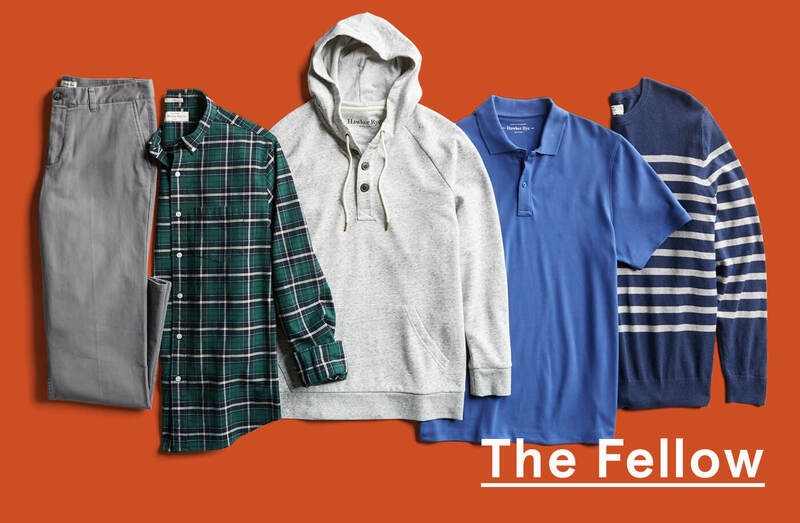 Take our clever quiz to find out what your clothes say about the guy, dude or fella you are. We’ll ask you things like: how you spend your weekend and what your favorite jeans are and show you the results. 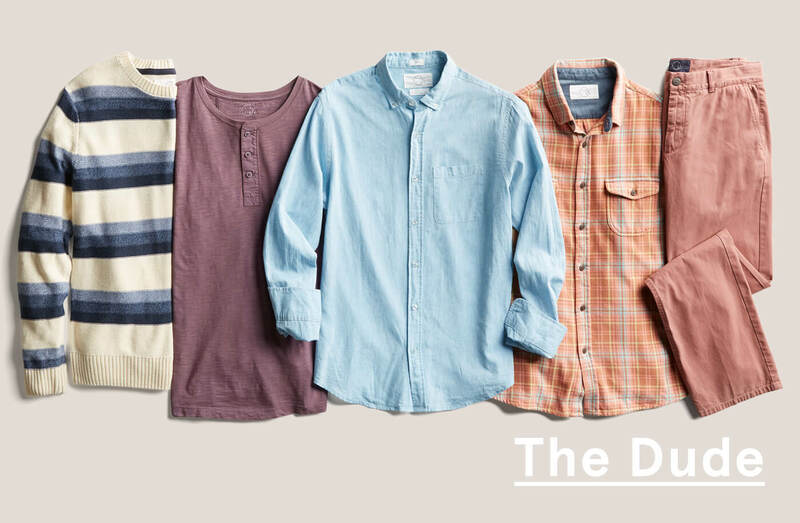 You keep it light and carefree with clothing that’s just as easy-going as you are. Your go-to colors are usually bright, chill and always comfortable. When it comes to getting dressed, you keep it easy with a go-to pair of jeans and tee or shorts and a tee. You’re not afraid of mixing colors, but that’s just because you have a bunch of them in your closet and don’t need to bother yourself with figuring out what goes with what. Bomber jacket: You seem cool, so why not dress the part? Swap out your hoodie for a sleek bomber jacket. Dark wash denim: Add a slim-fit pair of dark jeans to your closet. It’s the simplest way to dress up (just a little). Long-sleeve henley: Consider a henley just like your favorite T-shirt, but better—it’s got buttons. You’re the quintessential urban dweller with street and style smarts. You like to take a little creative license when it comes to getting dressed, but you still keep it sophisticated and approachable with your closet. You usually gravitate towards darker, moodier colors but you still keep it crisp but functional. You probably have your athleisure look on lock and you’re not the type of guy to ever let an undershirt age. You’re that sharp. A modern plaid: Plaid in two hues, now that’s modern. Wear this to work or leave it untucked with jeans for the weekend. Wool sportcoat: Take a cue from Prince Harry and wear a wool sportcoat with chinos or go casual and layer a hoodie underneath. Sneaker oxfords: Get a pair of sneakers with a sneakered sole for a comfier take on this sleek shoe. When it comes to style, the classics call out to you. Your closet is full of tailored cuts, quiet colors and subdued prints that pair well with every pair of pants you own. You wear your confidence with ease, no matter where your schedule requires you to be. Most of your wardrobe is probably business casual and above, but you still know how to keep it casual when you need to. Reworked shirt: You have your dress shirt game down, but have you tried a reworked shirt yet? It’s classic cotton on the front and stretch panels on the back and arms for ultimate comfort. It’s just like a work shirt, but better. Stretch blazer: Forget your stiff blazers, step into 2018 with one with plenty of stretch. Monk- strap shoes: A special occasion shoe for most men, a new daily staple for you. 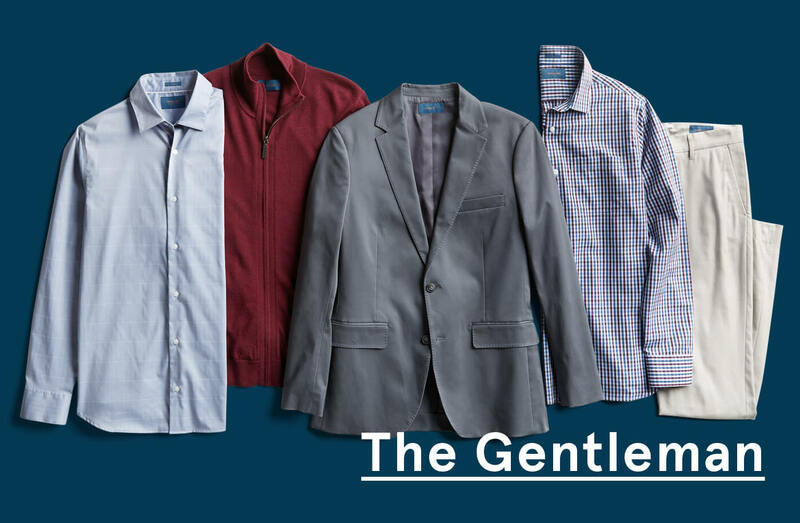 Wear them with your dress pants, a button-down and a blazer. 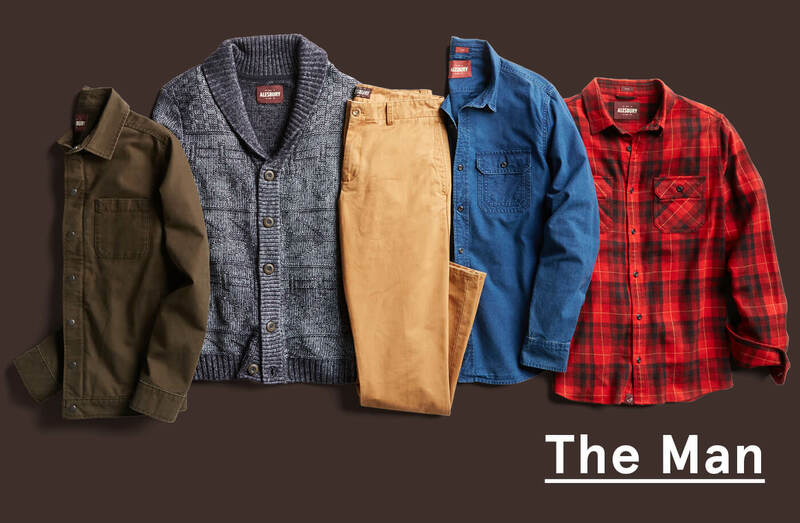 You’ve got rugged ways that translate into your style too. You’re a man of durability, just like your favorite plaid button-down. 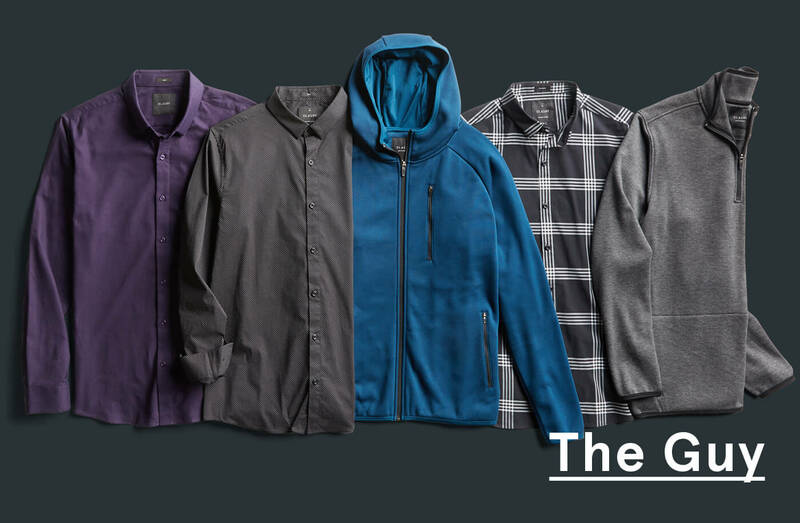 Stock up on hardworking layers that stand the test of time just like you and your closet will be set for life. You’re into function over form, but knows what’s up when it comes to quality. You have a handful of staples items that you’ll always refresh when they get a little too old, but you’re not averse to the occasional rip, tear or hole. Heavyweight work shirt: Invest in a heavyweight work shirt this year. It feels like a thick canvas material, but looks way cooler, especially when worn with jeans or khakis and canvas sneakers. Straight fit pant: Get a slim fit pant that you can wear out to the bars and to work. Slim fits don’t mean skinny, they just look good with plaid shirts and every sweater you own. Denim shirt: If you don’t have one already, make sure to stock up on this staple. Wear it open with a tee or button it up with jeans for a modern take on the Canadian tux. You’ve got that friendly smile, the loud hello, the firm handshake and that all-American way. You’re a blue man when it comes to jeans, shirts and sweaters, but your attitude is anything but. You go for comfortable classics that work at the office and can grab a beer with the guys too. Polo shirt: Not just for golfing anymore. Try it with twill joggers and casual sneakers for a new take on this on-the-greens staple. Striped sweater: Like a sweatshirt, just better. Use it as a second layer for whenever nights (and days) get chilly. Chukka boots: Didn’t get a pair of chukka boots last year? Now’s your chance. Wear these with everything, except for shorts. So what was it? Tell us what you think in the comments.